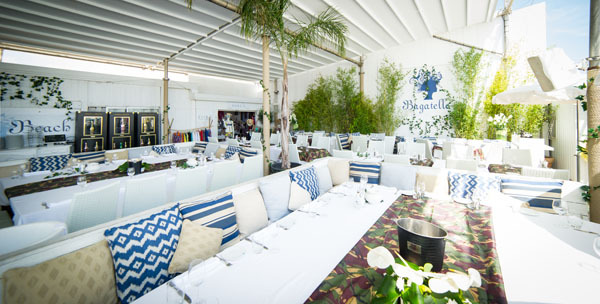 Though summer may be over you can still experience the essence of a summer spent in the south of France at any Bagatelle throughout the world whether it’s in New York City, Miami, St. Barths or Punta del Este. Here Resident Magazine speaks to Remi Laba, the founder and co owner of Bagatelle about how he has captured that glamorous and carefree Mediterranean lifestyle and brought it around the world. 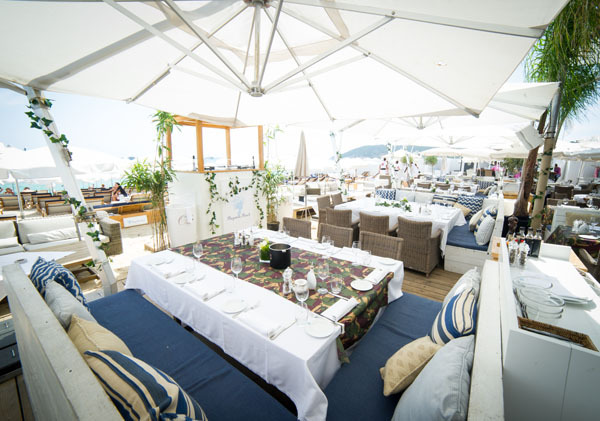 How do you translate the essence of the joie de vivre of the French Riviera to Bagatelle establishments worldwide? We carry our brand values from venue to venue. It’s a sentiment that comes from the happiness one feels when they share a special moment with new friends, old friends and family. Typically those moments are found around a table, sharing a meal. Values with food, wine and champagne create a merry atmosphere that helps people rejoice and come together. How do you curate your music, cuisine, and vibe to get the right mix and right crowd? The DJ is here to cater to the atmosphere in the restaurant and respond to the client’s energy. He’s there to cater to the older, younger, more energetic or mellow crowd. Our DJ’s adapt and customize their sets to the appropriate energy of the crowd improving their mood, bringing the energy up when needed while appealing to memories and happy times. We want to drive people’s energy by coming alive and dancing. In terms of the cuisine, we always make sure we are a restaurant first. Our chefs are highly trained and the dishes embody the Mediterranean vibe coming from the sea. Our cuisine includes healthy and fun meals meant to be shared that appeal to both women and men. We try to have a good balance of signature dishes as well as dishes that adapt to each culture and city. What are your favorite summer destinations? My favorite summer destination is the Mediterranean because it embodies everything that summer means to me; beautiful blue seas and great meals with friends for hours. It’s a mix of family, friends, and cultures. It’s a perfect summer destination. Additionally, I like to escape to the Alps to the soothing landscape as well. You are in all of the hotspots in the Mediterranean- Ibiza, St. Tropez and Monaco- can you tell me a bit about how each one differs and how you chose the locations? hey’re all different in essence because St. Tropez is a summer town. Coming there for us is like coming home. Each restaurant is modeled after the St. Tropez location. Monaco is more of a glamorous location that is year round and more of a traditional restaurant rather than a beach club. We chose the location based on the most luxurious destination in Monaco, Casino Square. In Ibiza, we wanted something a little more rustic with a natural vibe in Cala Moli. The restaurant is facing the sunset and is very special nature driven destination.